Last week, the Baltimore Orioles signed another pitcher; however, it was not a name that I even had on my radar. Then again, there were rumors about a few years ago concerning Jair Jurrjens donning the black and the orange. Back then, he was a young pitcher who looked to be on the cusp of greatness; however, injury, setbacks and struggles on the mound have lowered his value. That led to Jurrjens being non-tenured by the Atlanta Braves in the off-season. Now, the Orioles and Dan Duquette are looking to again take on a low-risk, high-reward type of player. Yesterday Baltimore woke to learn that Earl Weaver, legendary manager of the Orioles, had passed away. Weaver was 82 years old and collapsed in his cabin attended by his wife while on the annual Orioles’ Fantasy Cruise. Roughly 18 thousand fans attended the Orioles’ annual Fanfest yesterday at the Baltimore Convention Center, as the news filtered through the crowd the celebratory nature of the day took on a bittersweet tone as the Orioles community would now begin to mourn a true giant of Orioles history. 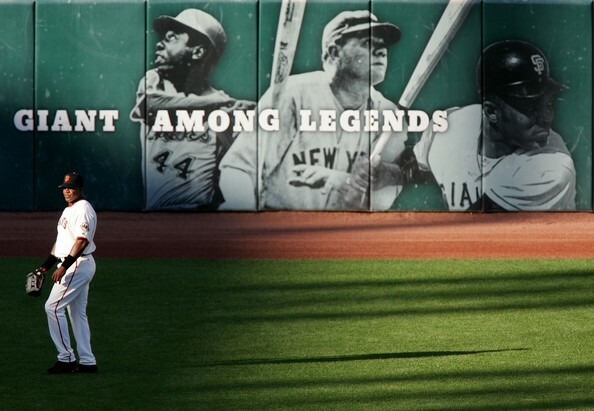 In the day since his passing the baseball literati have written the memorial pieces that one would expect when a true legend takes his final reward. All have been varying degrees of great or beautiful so today I come here to explain what Earl Weaver meant to me. Of course I am too young to have ever seen Weaver manage. I know Earl like I know any other historical player or coach. I know him as a collection of stats, numbers , video clips and photos. I have seen him speak, I have seen the statues and the various other exhibits which only now are truly memorials. But Earl was more than that to this town. In a way Weaver has always been a ghost to me. Weaver has always been a specter from the past, a shadow that still casts itself over the team and town. What made Weaver so great? Yesterday was a sad day for not Oriole fans, but all who follow the sport of baseball. Former Baltimore manager Earl Weaver passed away on Friday night while on a cruise for the team. He was 82. I learned about the news right before FanFest and it was surreal to have heard. You never think someone like Weaver, who embodies the spirit of Baltimore sports, would seemingly live forever on this planet. He may have passed on; however, he has achieved immortality. We recently did a Q&A with Vice President, Communications & Marketing of the Baltimore Orioles, Greg Bader. In what has become a yearly occasion during the offseason, we do a Q&A with him about plans for upcoming the season centered around FanFest, Camden Yards, Spring Training and other informative stuff for fans. We touched upon on myriad of topics including FanFest, season tickets, spring training in Florida, public reaction to last season, the upcoming winter caravan and their relationship with the Baltimore Ravens. To start off, I would assume with the Orioles finally getting back into playoffs after 15 years this fall, fans are eagerly anticipating FanFest. What does the organization happen to have planned for the fans this weekend? We are expecting to see one of the largest turnouts in FanFest history on Saturday, and we hope we can deliver for our fans. There are some interesting fan forums scheduled, including one that shows a few sneak peeks of The BUCKle Up Birds: An Underdog Story DVD. We will also be showing the DVD in a screening room throughout the day. We’ll have a lot of the old favorites, but some new elements as well to keep things fresh. In all, if you haven’t yet been to FanFest, it’s really a great opportunity to bring your family, enjoy a day of Orioles Baseball surrounded by many friends and fellow fans. On that note, has there been an increased demand for tickets for the 2013 season? Has the season ticket base grown and aside from the team winning on the field? Also, how does the organization plan to keep fans enticed and interested in the product? We just recently sent out our season ticket invoices, so that process is still very early. New sales are encouraging in the early stages, and we hope to have a strong day this weekend with our single-game tickets going on sale. Now is the time to get tickets for the Yankees and Red Sox games, as the longer our fans wait, the more chance there is for visiting team fans to get tickets. Hopefully, as our fans did for the game on September 6, the final weekend series against Boston and the playoffs vs. Yankees, the response from O’s fans will be overwhelming and the percentage of visiting team fans will be reduced for all games in 2013. As well, has that increased the interest of fans that have inquired about heading down to Sarasota for spring training? Sarasota is such a great location for families, especially in February in March, so we hope our fans make the trip. Ed Smith Stadium is truly the jewel of the Grapefruit League, and the relationship with have with Sarasota is incredibly positive. For our Baltimore season ticket holders, we do provide free tickets to select spring training games for our fans able to make it to Florida, so that’s an added incentive to make the trip. According to Visit Sarasota County records, interest in and travel to Sarasota from the Mid-Atlantic region has been up dramatically since our partnership began late in 2009. 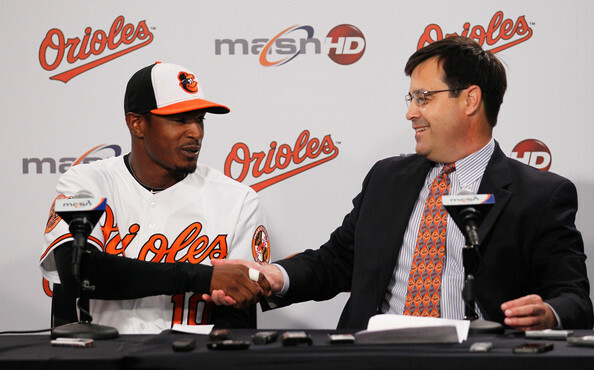 In addition, how has the corporate community embraced the newfound success of the Orioles? We were excited to see the corporate community embrace us during our postseason run last year, and the excitement level has not dissipated so far this offseason. We have had some productive conversations with many new potential partners and appreciate the support from the business community throughout the region. Our partners who have been with us over the past several years have been tremendous as well, and we appreciate their loyalty and support. I'm sure you all have heard and read this, but Baltimore Orioles manager Buck Showalter and Vice President of Baseball Operations Dan Duquette have had their contracts extended until 2018. Finally, after nearly a decade-plus, the Orioles finally have some stability within the organization. Obviously, most fans have heard in the past week or two that the organization was working on a long-term deal for Showalter; however, I did not hear much about Duquette. Both men worked magic last year to get the Birds in postseason for the first time in 15 years. They came to the Orioles hungry for a second opportunity and wanted to do their part to create a winner. Part one of the mission is accomplished: the team is no longer a perennial loser. Part two of the mission: winning a World Series for the first time in 30 years. Baltimore majority owner Peter Angelos has been given a lot of grief (much deserved, in my opinion) throughout his ownership throughout the years. However, this evening, he and everyone with the organization have given a lot of fans hope and a cause for celebration. I'm still critical about what the team has done to improve in their offseason, but it's a good night for Orioles fans. Birdland will be sure celebrating this Saturday at FanFest. 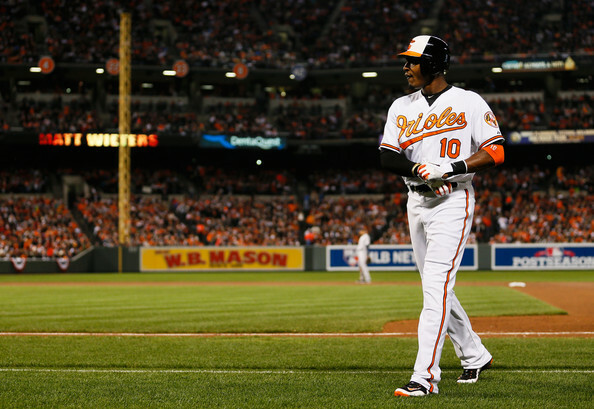 Over the weekend, the Baltimore Sun and MASN Sports reported that Oriole centerfielder Adam Jones will play in the 2013 World Baseball Classic. From the Baltimore Sun: Orioles center fielder Adam Jones has accepted an invitation to play for the United States in the upcoming World Baseball Classic in March. Team USA manager Joe Torre called Jones before Christmas and extended the offer. And what was the Orioles’ favorite class clown’s response? “’I’m an American,’ in my best Toby Keith voice,” Jones joked in reference to the country music star. Jones is expected to be the only Oriole on Team USA, but club executive vice president Dan Duquette said starter Miguel Gonzalez (Mexico) and reliever Pedro Strop (Dominican Republic) are candidates to pitch for their countries. Oriole fans all feel like that we know Jones – somewhat – through his persona that he projects in public. It would be an understatement to say that he is pumped and energized to play for team USA when the World Baseball Classic kicks-off in March. Meanwhile, closer Jim Johnson declined to take part in the WBC. That being said, I will probably head down to Florida and watch the WBC in Miami and sync that with Orioles spring training. On Friday afternoon, the Orioles and Nolan Reimold agreed to terms on a one-year deal worth $1 million. The two sides avoided arbitration. The Orioles today announced that they have agreed to terms with OF NOLAN REIMOLD on a one-year contract, thus avoiding arbitration. Reimold, 29, was limited to 16 games in 2012 due to a herniated disk in his neck and was on the disabled list from May 1 through the end of the season. In his 16 games, he batted .313 (21-67) with five home runs and 10 RBI. The Orioles now have eight arbitration eligible players remaining: CA MATT WIETERS, INF CHRIS DAVIS, LHPs BRIAN MATUSZ and TROY PATTON and RHPs TOMMY HUNTER, JASON HAMMEL, JIM JOHNSON and DARREN O'DAY. I believe this may be Reimold’s last chance to make it as an everyday player – much less a bench guy – with the Baltimore Orioles. One would think that he would probably be battling out with Nate McLouth for the left-field spot. Over the past several seasons, he has shown potential at the plate and has impressed with his overall play; however, for one reason or another, something gets in the way. The Orioles and OriolesREACH today announced plans for a three-day, four-city caravan around Maryland that will include appearances by Executive Vice President of Baseball Operations DAN DUQUETTE, Manager BUCK SHOWALTER and several Orioles players. On Wednesday, January 16, Orioles pitchers BRIAN MATUSZ and KEVIN GAUSMAN and the Oriole Bird will appear at the William Talley Recreation Center at 121 North Bentz Street in Frederick, home of the Class-A Frederick Keys, to meet with children from the Police Athletic League and the Frederick Boys and Girls Club, signing autographs and playing games with the children from 4:00-5:30 p.m. The event is open to the public and there is no charge to attend. On Thursday, January 17, Orioles pitchers and former Bowie Baysox stars ZACH BRITTON and CHRIS TILLMAN and the Oriole Bird will appear at the Westfield Annapolis Mall at 2002 Jennifer Road from 6:00-8:00 p.m. to sign autographs, pose for photos with children and take part in question and answer sessions with fans in the JC Penney Concourse. A raffle to benefit the Bowie Health Center will take place as part of the event that is free and open to the public. Also on January 17, Showalter will serve as the keynote speaker at the Aberdeen Ironbirds' Hot Stove Dinner at Ripken Stadium in Aberdeen from 6:00-9:00 p.m. Orioles pitcher JIM JOHNSON will join Showalter at the event. Tickets for the dinner are $40 and are available through the Ironbirds' website www.ironbirdsbaseball.com. MASN, the television home of the defending American League wild card champion Baltimore Orioles, will broadcast six Orioles spring training games. All will appear on MASN HD, MASN's dedicated high-definition channel, beginning with the Orioles' Feb. 25 home game against the New York Yankees from Sarasota, Fla. The network's Grapefruit League coverage also includes five more games from Ed Smith Stadium, the team's spring training home: March 7 against the Toronto Blue Jays, March 14 against the Tampa Bay Rays, March 17 against the Minnesota Twins, March 23 against the Philadelphia Phillies and March 27 against the New York Yankees. All afternoon games will be replayed the same day in prime time on MASN HD. The popular team of play-by-play voice Gary Thorne and color analysts Jim Palmer, the longtime O's pitcher and a member of the National Baseball Hall of Fame, and former Orioles shortstop Mike Bordick will again call the action during MASN's spring training broadcasts. Fans can also access all of the Orioles news from spring training by logging onto Roch Kubatko's "School of Roch" for around-the-clock reports at MASNsports.com. Everyone knew there was a chance at no player eligible being elected to the National Baseball Hall of Fame this year. Well, this Tuesday afternoon, for the first since 1996, it happened. We can all understand that the voters wanted to send a message and not elect anyone connected to PED/steroid use; however, could they not find someone worthy to induct? Ah, today has the potential to be a colossal mess for sports fans and those in the media as the National Baseball Hall of Fame announces their inductees for 2013. From what I’ve read and heard, there’s a extremely good chance no one is getting in. Obviously, as an online blogger, I will never be one of the roughly 600 writers and journalists who have a vote; however, I’m going to opine and chime in on this whole debate. As we all know, this year’s vote could perhaps be the most controversial in memory due to the whole steroid/PED debate. Honestly, I do not know where to begin with all of this. Personally, can anyone seriously answer this – what is the Hall of Fame supposed to be? It is a museum, like the Smithsonian Institution in Washington, D.C.? Is it a hallowed place that is supposed to convey history and honor the best players of their respective generation? Is it a place meant to be a money-making machine? Or is it like a church? Well, like a place of serenity or worship? Should it convey morality? I personally view the Hall of Fame as this: a place where history intersects with baseball immortality. It is a place where the best of best in baseball are honored for their achievements on the field, whether they were good, surly or just simply bad guys. Considering baseball’s place in the context of American History and in sports’ fans hearts, I can see why the writers are having such a hard time with this year’s decision. Most people in the United States America likes to heap praise on a winner, they don’t like deception, or wide scale cheating. Well, fans I know believe in the spirit of fair competition and a level playing field. They believe as long as you what did in life honestly, did not cut corners and put in a hard day’s work, you should be rewarded. That theory above sometimes does not mesh with other professional fields (think politics or the financial market); however, most people do not have a problem with success. Well, it looks like one of the big boppers left on the market, Adam LaRoche, has gone ahead and re-signed with the Washington Nationals. 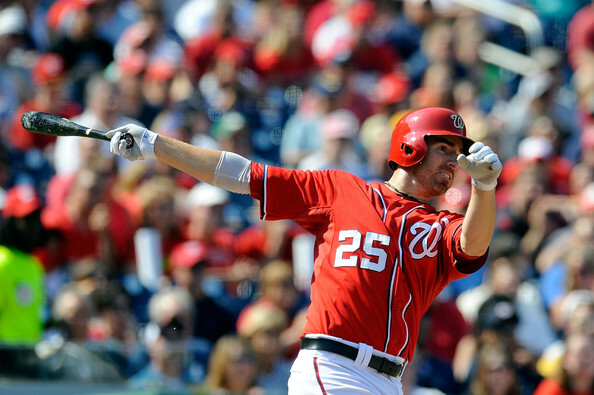 From Nats Insider: The Nationals' unwillingness to budge on their longstanding, two-year offer to Adam LaRoche paid off in the end. LaRoche today agreed to the deal after failing to find another club willing to give the free agent first baseman the three-year contract he sought all along. The contract guarantees $24 million, according to a source familiar with the details. LaRoche will earn salaries of $10 million in 2013 and $12 million in 2014, with a $2 million buyout in 2015 if either side elects not to pick up a mutual option. Nationals general manager Mike Rizzo never budged on his two-year offer, explaining his rationale to LaRoche in person: With every other position on the field locked up through at least 2105, Rizzo wanted to ensure at least some long-term roster flexibility. So LaRoche set off to find if any other organizations were willing to offer three year contracts, with the Red Sox, Rangers and Orioles among the potential suitors. None of those clubs, though, was willing to go to a third year, in part because none wanted to give up the draft pick that would have been required after the Nationals made a $13.3 million qualifying offer to LaRoche in early November. Rizzo all along felt that qualifying offer -- which also would have guaranteed draft pick compensation to the Nationals had LaRoche signed elsewhere -- would help increase the chances of the first baseman staying in D.C. And the GM was proven correct. LaRoche was no doubt looking for a long-term deal and big payday based on his gaudy numbers from the 2012 season. With about five to six weeks before pitchers and catchers report to the various camps of the 30 MLB franchises in both Florida and Arizona, most teams are into the home stretch of the winter. As we as fans know, the Orioles at glance have not done much with retooling their roster. Now, we are still in early January and there's more to be done by Dan Duquette along with the front office; however, the consensus among most fans is that the franchise doesn't want to spend money. Now, the Orioles will dole out a bunch of money to players due to raises, arbitration and contract stipulations as the Baltimore Sun's Peter Schmuck noted in article; therefore, the team may stand pat with their starting pitching (res. Chris Tillman and the growth of Dylan Bundy and Kevin Gausman) and the impressive core of everyday guys. However, it seems that the Orioles have to do more. One would think after an impressive and unexpected playoff run, they would do a lot more. I've been a blogger for a long time covering this team, but I have had season tickets of some form since 2003. For the first time in a very, very long time I'm truly anticipating the start of 2013 season; however, as a paying customer I'd like to see more happen. 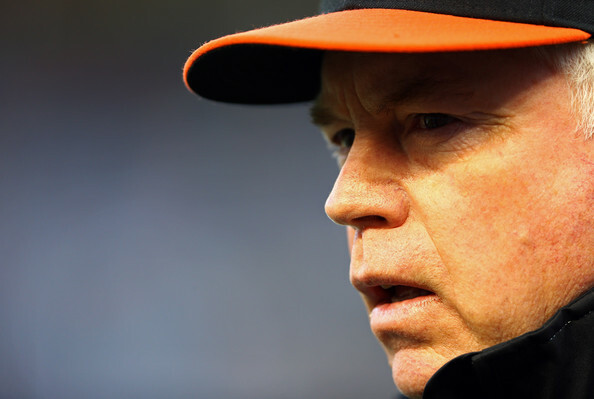 As we all know, the Orioles had a wildly successful 2012, and there has been a continuous discussion as to if - or when - manager Buck Showalter would be signed to a contract extension. Fans have been wondering if he would be in the organization long term, and now we may have an answer. According to MASN's Roch Kubatko and CBS Sports' Paul Heyman, the Orioles and Showalter have laid the framework in place for an extension. The duration will be three years, based on reports. In my honest opinion, it was a foregone conclusion that the two sides were going to get something done. If you're reading this blog, you know the impact that Showalter has had on the franchise. He's changed the culture with the Orioles from top to bottom and it's been pretty much observed by fans, the media and insiders in the sport. Many people argue that a manager makes little discernible difference with a team. That is not the case with Showalter, as he has been able to excel at field management, the bullpen, getting the most out of his players, player evaluation and the facilities down in Sarasota. This, of course, has resurrected the controversy over MLB teams using Native American names, cartoons, and paraphernalia. Is it offensive? Should these names be retired? Are ALL offensive, or only some? Do some of these organizations get a pass on their extensive histories in the league? To me these are all very complicated questions with equally complicated answers and the debate speaks to this nation’s continuing struggle with its own social history. Myself, I am not necessarily offended by any of this stuff simply because it is not my place to BE offended by these various caricatures. I am a suburban-born white-guy, end of story. There is no way that I will ever truly feel the sting of discrimination as if I was someone from one of the multitudes of demographic minorities. Yes, even though I live in Baltimore where I am a demographic minority I am still part of the cultural hegemony of white-ethnic-Europeans that run most of the developed world. Some of you may roll your eyes at that last line, trust me I am not espousing some sort of self-loathing white-guilt when I write that – it is just simply the facts of the matter; 500 years ago Europeans took to boats, sailed around the world and subjugated the native peoples of those lands in the name of gold, glory and God. It is the reason we speak English, it is the reason most of us are some sort of Christian and it is the reason we believe in capitalism. So no I am not offended, but as a person that has spent the lion’s share of his life studying American history I look at these things and wonder, “Why?” Ethnic-stereotypes and ethnic-caricatures are not anything new in America, one does not need to go far back into American cultural history to see what I am talking about. (TRY THIS AT HOME(! ): Do a quick search of “old racist ad” and… enjoy? )But what is interesting to me is that virtually all other types of those mascots and advertising strategies have been relegated to the dustbin of history along with the minstrel show. Today they are largely a bygone curiosity, except for Native American imagery. Vouchers for autograph sessions at the Orioles' 2013 FanFest will go on sale this Saturday, January 5, at 10:00 a.m. The list of autograph session times and participants will be posted online for preview at www.orioles.com/fanfest by 9:00 p.m. this Friday, January 4. Orioles FanFest will be held on Saturday, January 19 at the Baltimore Convention Center from 11:00 a.m. to 6:00 p.m., with early entry for Orioles Season Plan Holders to begin at 10:00 a.m.
At this year's FanFest, the Orioles will continue an autograph policy designed to support youth charitable endeavors through OriolesREACH and reduce fan disappointment by shortening wait times. Children ages 4-14 will have a specially designated Kids Only player autograph station presented by ESSKAY that is free of charge and will operate continuously throughout the day. All other ESSKAY autograph stations at FanFest will require the advance purchase of autograph vouchers exclusively at www.orioles.com/fanfest for $15 each, with all of the proceeds to benefit children's charities through OriolesREACH. Since instituting the autograph policy in 2011, FanFest has raised over $185,000 for the Orioles Charitable Foundation. There will be 250 vouchers available for each ESSKAY autograph session, guaranteeing that each fan purchasing a voucher for a particular session will receive an autograph from each of the players at the station. Fans will be able to print their vouchers at home and must present them to the attendant at the appropriate autograph session, shortening the amount of wait time in autograph lines. Fans must be in line for their autograph session no later than 30 minutes after the session begins. I grew up in Montgomery County, and root for the Washington Redskins since everyone in my family does; however, since I work primarily in the Baltimore area now and have friends who love the Baltimore Ravens, I sort of adopted them as a distant, second team. 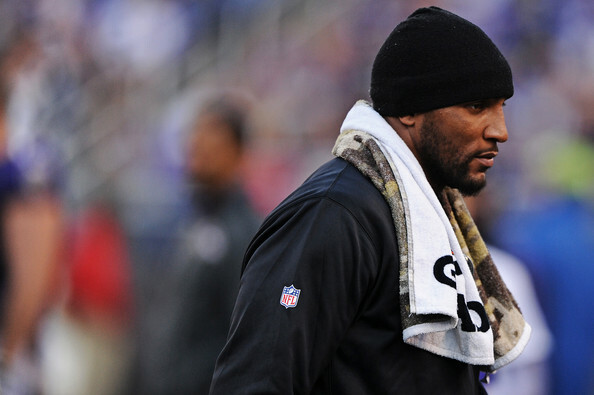 I try to catch a game at M&T Bank Stadium at least once a season and was floored hearing the news that Ray Lewis will retire at the end of the season. Unlike most players who find themselves moving into the next phase of their lives, Lewis is doing it on his own terms and for a damned good reason – family. Despite what happened off-the-field in the early part of his career in Georgia, Lewis has matured, grown up and has become a pillar of the community. Life will go on, the team will get another linebacker, and the 2013-14 NFL season will kick off around Labor Day; however, Lewis' impact cannot be understated.